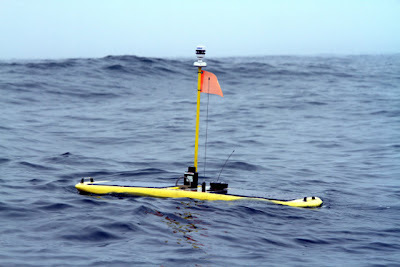 A sleek, unmanned Wave Glider robot has been deployed off the US coast near San Francisco -- the latest addition to an arsenal of ocean observing technologies revealing in real time the mysterious travels of great white sharks and other magnificent marine creatures. 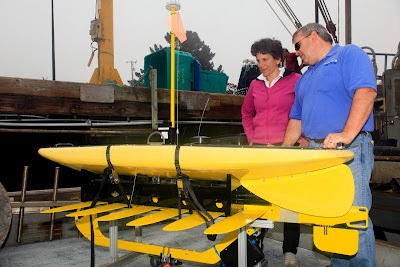 The self-propelled, solar-powered glider is part of a new network of data receivers on fixed buoys will pick up signals from acoustic tags on animals passing within 1,000 feet and transmit the data to a research team on shore, led by Stanford University Marine Sciences Prof. Barbara Block. 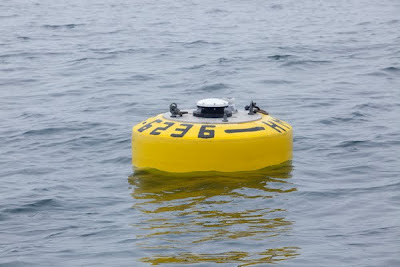 The TOPP project was a collaboration among 75 scientists from five nations, who utilized an array of electronic tags to follow the migrations of more than 4,300 individual animals, including sharks, tunas, whales, seals, seabirds and turtles. 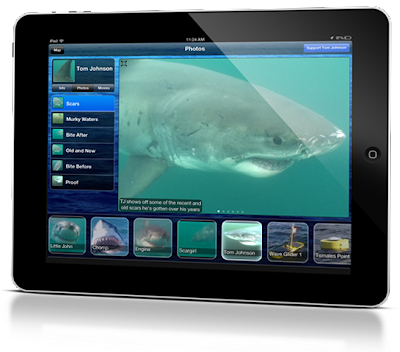 After a decade of research, and more than 300,000 days of animal tracking data, the TOPP team demonstrated that the West Coast of North America is an important hotspot for animals ranging throughout the Pacific – aggregating predators as diverse as bluefin tunas, white and mako sharks, sooty shearwaters and leatherback sea turtles, elephant seals and blue whales on a seasonal basis that reaches a peak in later summer and early fall. She's also working on a plan to obtain United Nations World Heritage Site designation for regions of the California current—which Dr. Block likens in importance to the vast African Serengeti plains because of its vital diversity and abundance of life.